Here are a few examples of pick up installs that required some problem solving. 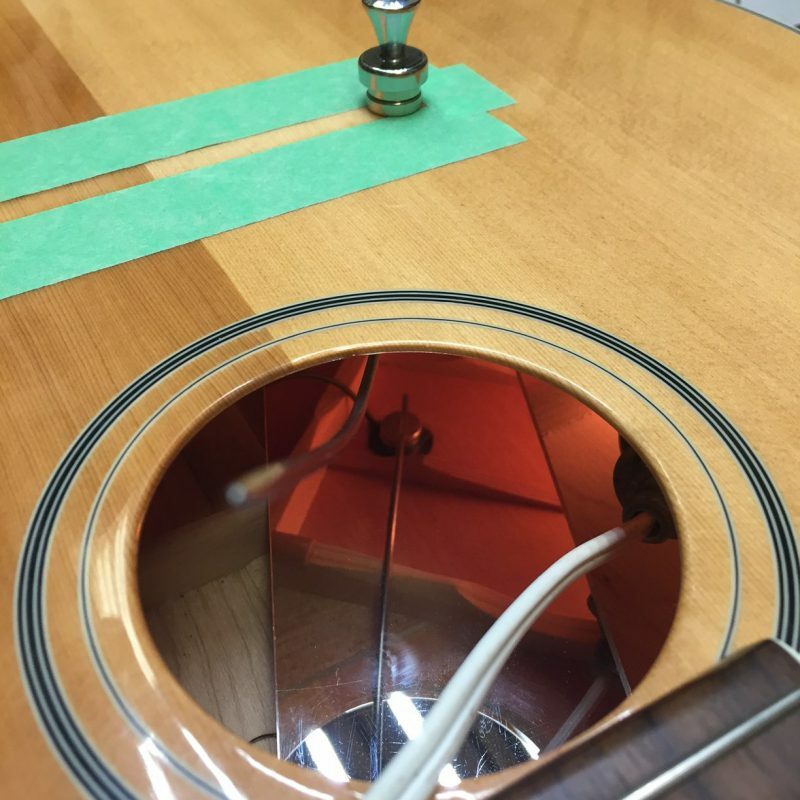 In the photo above we see a K&K pure mini installed in a 12 string guitar that has a JLD bridge doctor attached. 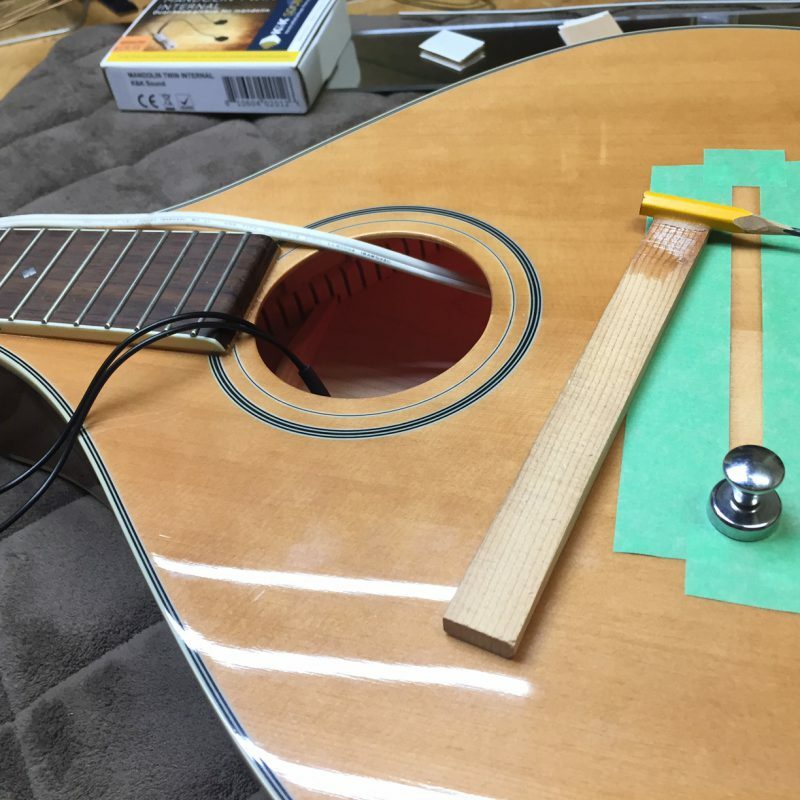 K&K does make a 12 string p/u but the transducers are so large that it’s not feasible to install correctly in this scenario. Chamfering the edge of the bridge doctor block where it contacts the bridge plate allows the installation of the middle transducer of the pure mini to be fully on the bridge plate. The pure mini is a totally acceptable substitution for pure 12 when this obstacle is present. 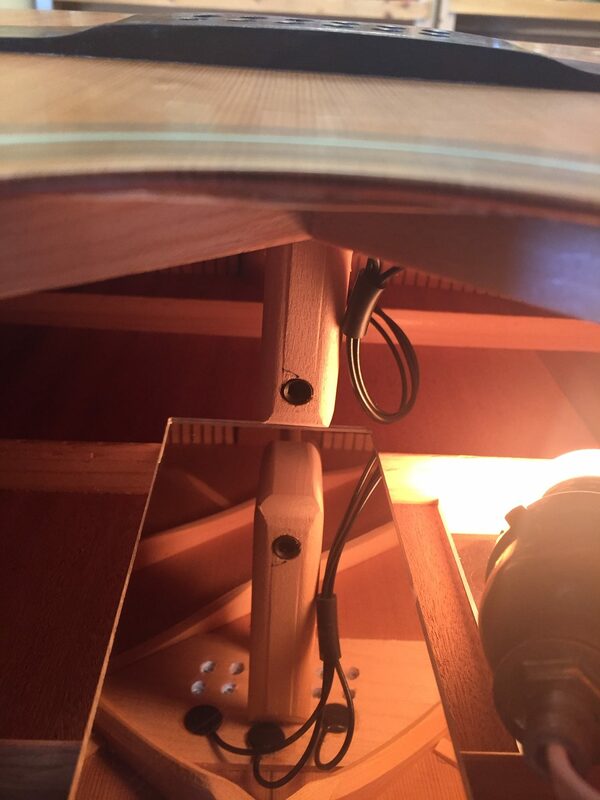 In this photo we see a K&K banjo twin with a custom cable guide to keep the pickup leads from going microphonic when contacting the banjos coordinator rods. 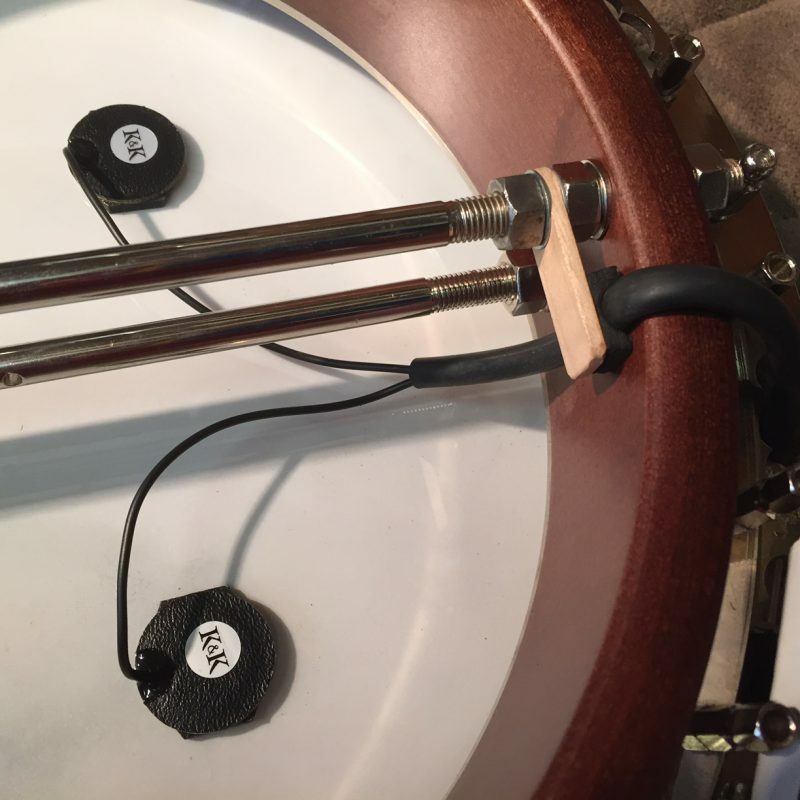 Using the existing nuts and rod was a nice solution as it meant we didn’t have to alter the pot in any way. 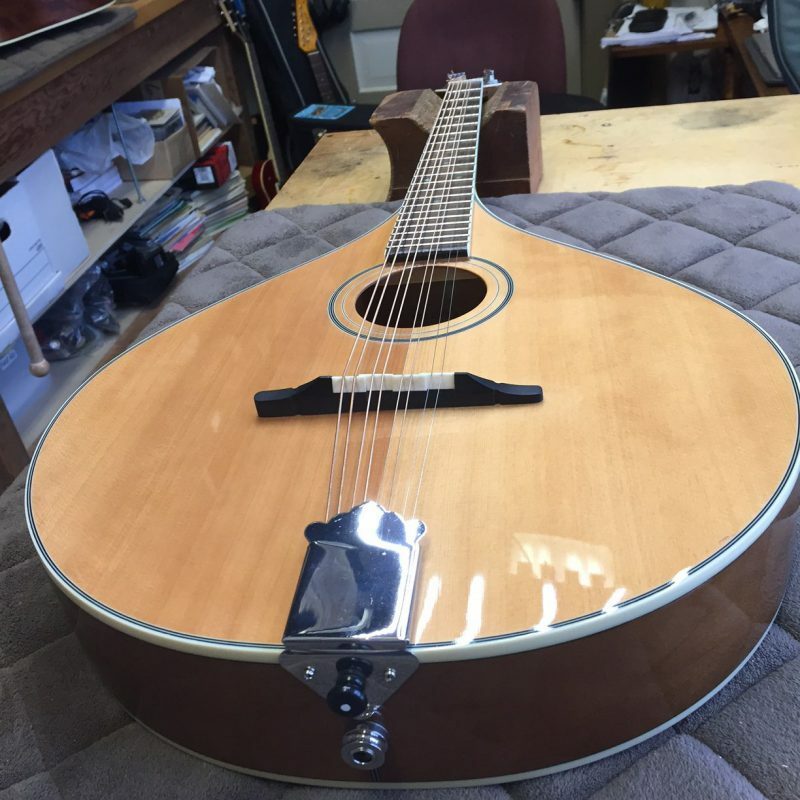 And lastly we have a K&K mandolin twin internal installed in an Octave Mandolin. 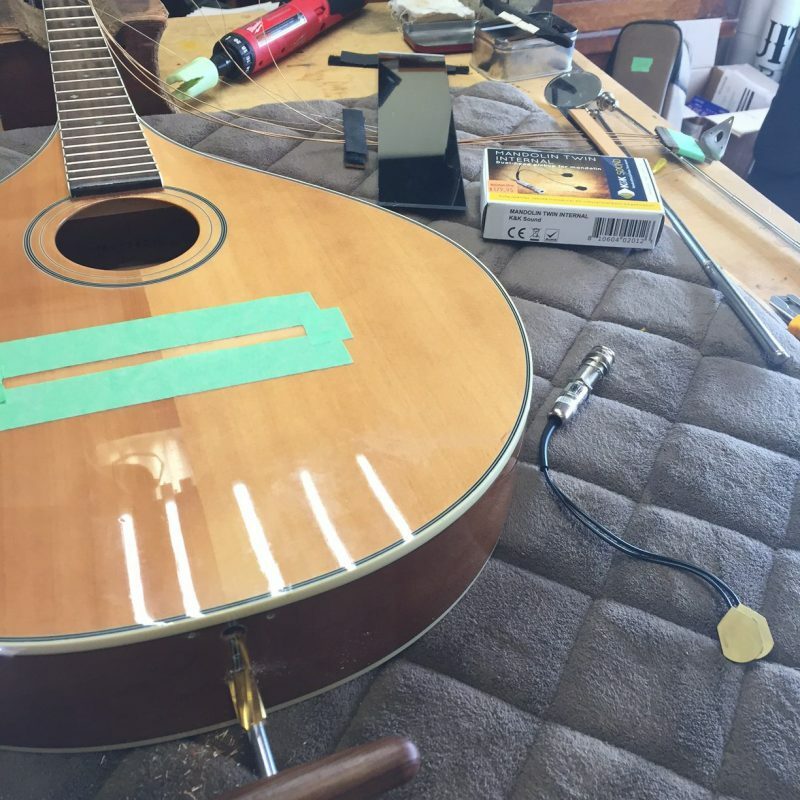 The real challenge with oval hole instruments in the mandolin family is I can’t get my hand inside the instrument to position the transducers. 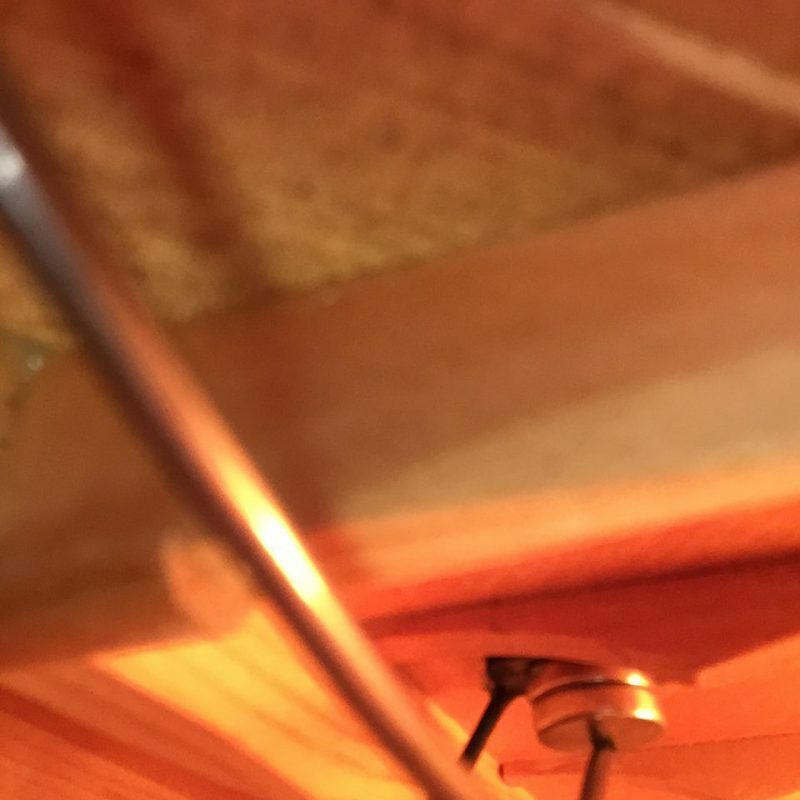 The solution is to mark out where they need to go and secure the transducer to powerful magnets then position inside via a steel rod. The final guide into exact location is where the attracting magnet is placed on the outside of the instrument. If you have a challenging install you’d like us solve give us a call!